and Why is it different? Central California Map - Clearly different from Southern or Northern California; we explore the "where, what and why" of Central California. First, where is Central California? A "Central California map" might be difficult to find since there is no hard and fast definition of any "region" of California outside of the state, county and municipal boundaries themselves. That's why you'll find maps of "Central California" that include all of Santa Barbara and Ventura counties in the south and Santa Cruz County in the north. 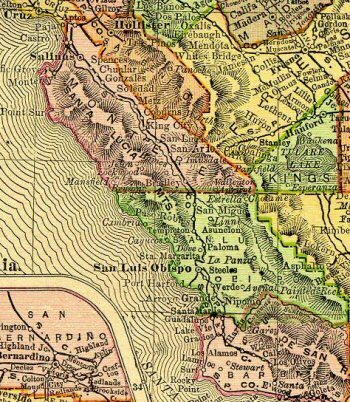 Other maps of "Central California" might just include the middle section of the state from the Pacific Ocean to the Nevada border. These areas might be connected geographically, but they're definitely NOT the Central California we're looking for. I live in Monterey County and sometimes California atlases include it in Northern California and sometimes in Southern. It can be confusing. That said, what I'll be talking about is the highlighted region on the Google Central California map below. It shows the major cities in the area and gives you an idea where it is in relation to San Francisco and Los Angeles. You may notice that I didn't include the cities of Santa Barbara and Santa Cruz. They are nice places and worthy of a visit, but the "feeling" or culture of those places are, in my mind at least, sufficiently different from the rest of Central California as I've outlined it. 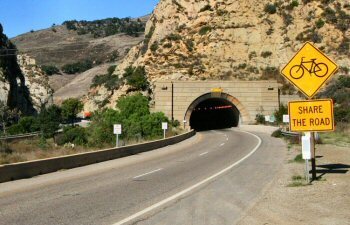 The city of Santa Barbara is separated from "my" Central California by a range of mountains and has more in common culturally with Los Angeles than Santa Ynez, just over those hills to the north. Not bad or wrong, just different. If you came here looking for information on Santa Barbara here is a great site on that topic. Santa Cruz sits just on the other side of the bay from Monterey, but the "gravitational pull" of San Francisco is just strong enough there to influence this city. Nice city, just different from the feeling of say Gilroy. 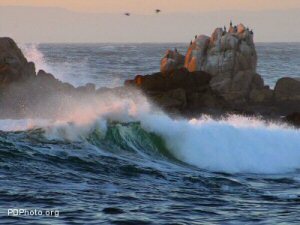 Visit this site for great travel information on Santa Cruz and northern California. 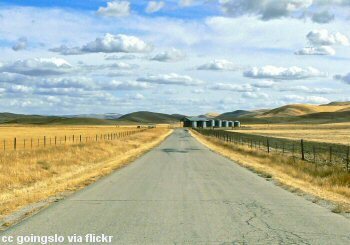 If you've been to Central California before, you already know it's different from the rest of the state. You might not know why, exactly, it is that way, but just enjoy the wonderful ambience you find here. Or you might be curious why it is the way it is. If you are curious, you can read on for this guy's attempt to explain it. If you've never been here you might have felt something similar when you came to a place that somehow felt relaxing and restful. You started to unwind without even thinking about it. If you were driving your foot came off the gas just a little bit. Thoughts came to your mind such as "let's linger here for a while" or "this is a nice place". 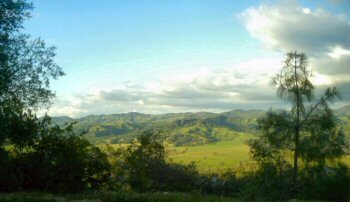 The oaks on the hillsides seem calming. That's what it is like here. Maps or atlases can't show it. The Census Bureau can't count it. Even Google Earth can't capture it. I think it's something like the concept of "terroir" in the wine growing world. Terroir comes from the French word terre meaning "land". It is used to denote all the various influences which can impact the taste of the wine grape - soil, climate, water and so on - the sum of the effects that the local environment has had on that product. But all the influences of Central California - geography, history, the wonderful people, geology, the agriculture and ranching that dominate the economy, weather... - all these things and more come together to create something unique and special. A terroir unlike anything else in the Golden State. Something you won't find anywhere else. A "something" that you can take home with you once you leave and something that just might keep drawing you back. So, let's move on and Discover Central California.